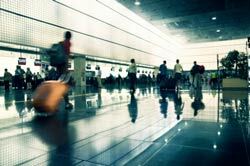 Whether you are travelling for business, off on your family holiday and travelling with children, or simply require special assistance, you’ll find all the facilities you need to make the start of your trip as hassle free as possible. As well as the above, you’ll also find numerous communication, baggage, cash and self service facilities throughout the terminal. Some airlines operating from Gatwick Airport offer self service check-in. Not only is it is a rather simple process, it’s safe, saves passengers a lot of time and helps the airport to manage the passenger flow through the terminal. Passengers can use self service check-in both online and in kiosks located at the airport, as well as day before check-in. The North Terminal has the self check-in kiosks located near the standard check-in desks. How do they work? The kiosks let the travellers to check-in, choose their seats and print boarding passes, as well as print out the baggage tags for checked luggage and attach them. The checked luggage can then be dropped off at one of the several BA self-bag drop points situated in the Check-in area of North Terminal, level 2, near check-in zones A and B. If self check-in is too confusing, airline staff will be present and happy to help. Is your airline not listed above? Don’t worry! Most of the airlines offer online check in services, or you can still check in once at the airport if you prefer. 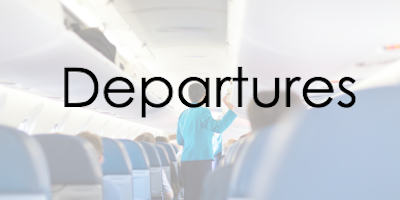 No flight calls are made at Gatwick, so you need to check the flight information screens listing flight departures for your boarding time and gate number. Boarding usually begins around 45 minutes before departure. 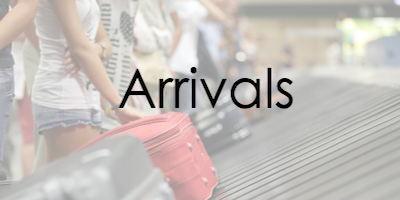 Arrivals is located on the ground floor. You can check arrival times online. Baggage storage services provided by The Excess Baggage Company are available on level 2, in the Check-in/Departures area beside check-in Zone F. Open 05:00 – 21:00. The cost is £9 per item per 24 hours (or part). Other services also include baggage shipping & bag wrap. Tel: +44 (0)1293 502013. Moneycorp Bureau de Change is situated next to the shuttle service connecting the North Terminal with the South Terminal. 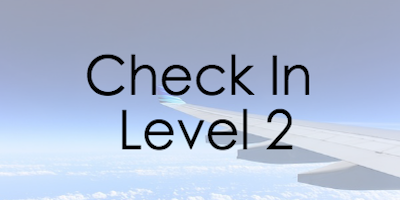 You’ll find a Costa Coffee on this level of check in. A range of services are available on Level 1, including excess baggage, left baggage and Shop and Drop. Situated next door to Costa Coffee. There is a special assistance help point on Level 1, situated near the shuttle train service. Internet kiosk is situated to the right of Costa Coffee. A chapel and prayer room is located next to the exit towards the Hampton by Hilton Hotel access route. 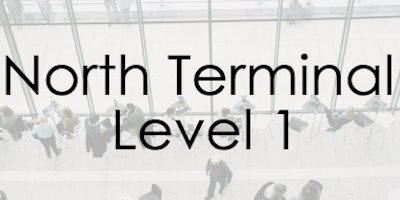 There are no shopping opportunities on Check in Level 1. Male, female and accessible toilets, as well as a baby care room are located to the left of the check in desks. You’ll find Moneycorp Bureau de Change counters with cash machines situated on either side of check in zones D and E.
Pop into the Jamie Oliver coffee for a quick bite to eat and a pick me up. None in the check-in area but there are some information points available after security and on level 2. Internet kiosks with printing facilities are provided by SurfBox and are conveniently located before and after security. It costs 10p per minute for the internet service and 50p per page for printing. The airport also has high speed wi-fi, allowing passengers 90 minutes of free usage while at the airport. There’s a London News Company shop situated near check-in Zone E.
Male, female and accessible toilets are located in the check-in area. Two Moneycorp Bureaux de Change, both with cash machines, are situated on the lower level of the Departure lounge. Cash machines are available on lower level, at Moneycorp Bureau de Change. Most restaurants and cafes are located on upper level of the Departures lounge, including Jamie’s Italian, Wagamama and Pret a Manger . You’ll find a Wetherspoons and a Caviar bar on the lower level. There is an internet kiosk on the lower level, located close to the airline info desk, and you’ll find a second kiosk located between World Duty Free and London News Company. Keeping the children entertained has never been easier with the free kids entertainment zone located close to Dixons Travel store. Plentiful and free, although a £1 coin will be required to get one which you will get back after returning the trolley to the trolley area. Location not immediately obvious, they are available just inside the terminal entry doors in the atrium. Situated between London News Company and World Duty Free, you’ll find a free, secure phone charging facility.. Most retail stores, bookstores and news shops are situated on the lower level of Departures lounge, and include Dixons Travel, Fat Face, Harrods, Hugo Boss, Superdry, Ted Baker and two large areas of World Duty Free shops. Located in the centre of the departures hall, you’ll find a dedicated lounge for those with special assistance requirements. There are male, female and disabled/accessible toilets located on both levels of the Departure lounge. Baby changing facilities are available on upper level. Moneycorp Bureau de Change next to the lift in the public area of the arrivals concourse. There is a Costa Coffee situated near the domestic arrivals section. A WHSmith, located near the escalators, also stocks some snacks, sandwiches and bottled soft drinks. In the main Arrivals area on the left hand side. There’s also a Help Point by one of the exits. High speed wi-fi, provided by Boingo Hotspot, available for free for up to 90 minutes. There’s also an internet kiosk situated near the escalators. You’ll have Costa Coffee, Boots and M&S waiting for you in arrivals if you need to grab a bite to eat when you land. Access to Short Stay car park across the forecourt. Shuttle bus outside the terminal for Long Stay parking. In Baggage Reclaim and at each end of the Arrivals Hall with disabled access and baby care facilities.